In that year, President Chamoun was unable to convince the Maronite army commander, Fuad Chehab, to use the armed forces against Muslim demonstrators, fearing that getting involved in internal politics would split his small and weak multi-confessional force. The Phalange militia came to the president's aid instead to bring a final end to the road blockades which were crippling the major cities. Encouraged by its efforts during this conflict, later that year, principally through violence and the success of general strikes in Beirut, the Phalange achieved what journalists[who?] dubbed the "counterrevolution." By their actions the Phalangists brought down the government of Prime Minister Karami and secured for their leader, Pierre Gemayel, a position in the four-man cabinet that was subsequently formed. 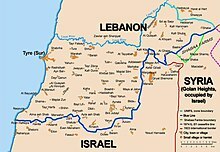 The Palestinian movement relocated most of its fighting strength to Lebanon at the end of 1970 after being expelled from Jordan in the events known as Black September. The umbrella organization, the Palestine Liberation Organization (PLO)—by itself undoubtedly Lebanon's most potent fighting force at the time—was little more than a loose confederation, but its leader, Yassir Arafat, controlled all factions by buying their loyalties. [neutrality is disputed] Arafat allowed little oversight to be exercised over PLO finances as he was the ultimate source for all decisions made in directing financial matters. Arafat's control of funds, channeled directly to him by the oil producing countries like Saudi Arabia, Iraq, and Libya meant that he had little real functional opposition to his leadership and although ostensibly rival factions in the PLO existed, this masked a stable loyalty towards Arafat so long as he was able to dispense financial rewards to his followers and members of the PLO guerrilla factions. Unlike the Lebanese people, the Palestinians were not sectarian. 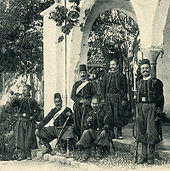 Christian Palestinians supported Arab Nationalism during the civil war in Lebanon and fought against the Maronite Lebanese militias. 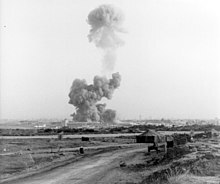 Wikimedia Commons has media related to Lebanese Civil War.